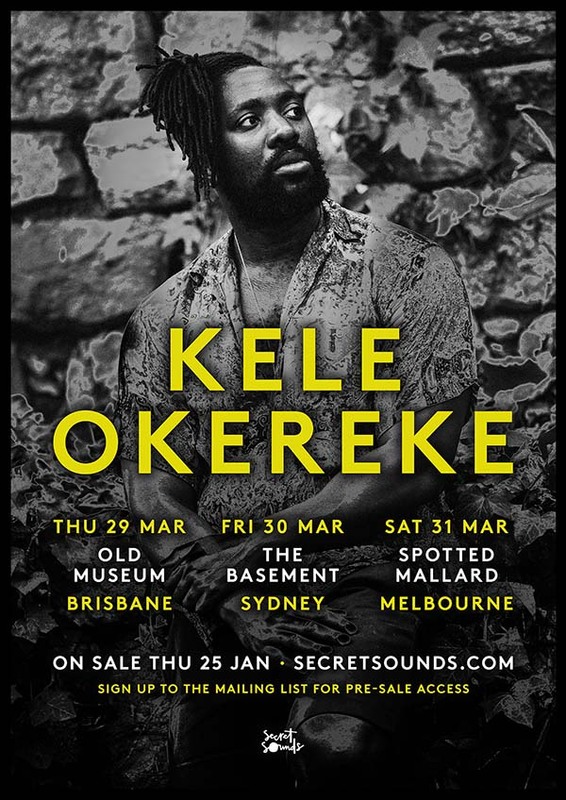 Ditching the chaos of the clubs for the calm of some cosy venues, Kele Okereke announces a string of intimate Australian shows in support of his latest solo album Fatherland. Produced in response to the birth of his first daughter Savannah and reflecting several significant life changes, Fatherland (Okereke’s third solo work after 2010’s The Boxer and 2014’s Trick) has been met with luminous critical acclaim and will set a reverent tone for these unique performances in Brisbane, Sydney and Melbourne. Legendary for dissecting the tumult of modern life through his much-loved back catalogue, the Bloc Party frontman has taken a step back from the bright lights and moved into some more hushed and delicate atmospheres this time around. A work of rare beauty and contrast, Fatherland sees Okereke guiding us through explorations of new responsibilities, established relationships and cultural identity by employing delicate folk, sumptuous soul and even a touch of cabaret for good measure. Cuts like Streets Been Talkin’ and Yemaya recall the work of Joni Mitchell or Elliot Smith in their splendid instrumentation. While instrumentally a world away from the visceral output of the newly reinvented Bloc Party (their most recent record Hymns was a hit in 2016), the conviction in Okereke’s inimitable voice is strong throughout, and remains the reliable focal point that has held audiences in rapture for more than a decade. It seems like there has always been a sense of vulnerability inherent in his work, but this has never been fully realised until now. Fatherland is a record that begs to be explored in the kind of intimacy that only the stages chosen for these unique dates can provide.